The current version of Google Forms has been available for almost three years. But change is hard and so there are still people using the old “classic” version of Google Forms. The old version is going to be officially retired by the end of this year. 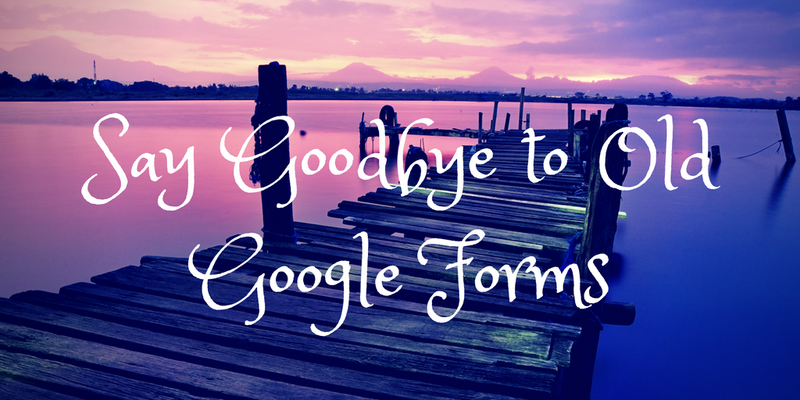 Google has announced that starting on August 22nd you will only be able to create new forms by using the current, AKA “new,” version of Google Forms. Also beginning on August 22nd all existing “classic” Forms will be automatically updated to the new or current version of the Google Forms interface.